Have you been searching for a bargain on the Lexmark XM5163 copier for your business? Excellent, then you are in the perfect spot! Arizona Copiers possesses all of the best Lexmark copiers and printers in our expansive inventory. Whether you are interested in purchasing, leasing, renting you new unit, our experienced company guarantees that we will be able to discover the most inexpensive solution for your business. Throughout our Valley of the Sun service area, we are renowned for our unparalleled customer service, commitment to fast delivery, superior repair services, and wide range of office supplies for all copying needs. Please do not hesitate to call us today at 602-428-5885 to learn more information about our service and to receive your amazing quote. With a lightning-fast monochrome printing and copying output speed of 63 pages per minute, the Lexmark XM5163 guarantees that your business’ documents will not slow down your workday. Instead, the powerful print speed and smart time-saving applications combine to increase your business’ efficiency and productivity dramatically. This Lexmark model allows you to produce your first page in as little as 4.4 seconds and rapidly scan a two-sided document in a single pass! Keep your business projects moving with a maximum input capacity of up to 3,300 sheets and a high-yield toner cartridge will provide reliable output without running out when you need it most. Save time on replacing paper, save money with duplex printing options, and save energy with eco-friendly modes specifically designed to lower power consumption. The incredibly large and fully featured color touch screen enables quick access to a variety of document capture and workflow functions. When you purchase the Lexmark XM5163 from Arizona Copier, your printer and copier combination can be tailored to be fully customized to all of your business’ preferences with a touch of a button. Quickly configure your home screen to display all the icons and shortcuts that your business uses the most for instant use. You can even modify the background image of the sharp display screen to whatever suits your interests, such as your own company logo. Experience more flexibility than ever before with this innovative Lexmark model designed just for you! 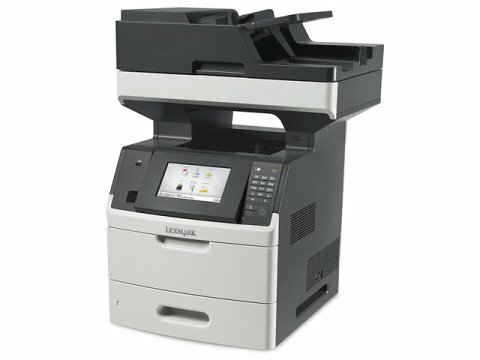 Buy, Lease, or Rent Your Lexmark XM5163 Today! Arizona Copier has the highest quality selection of Lexmark models at discounted prices in the entire state of Arizona. Our qualified and knowledgeable professionals will be able to find you the best printer solution to surpass all of your business’ requirements. Arizona Copier is more than just a company that sells and leases copiers; we are committed to providing the most excellent customer service and devoted to fast delivery in flawless condition. When you choose to buy, rent, or lease a copier with our company, you join a network of copier professionals that looks forward to offering repair services and supplies later on. Please call 602-428-5885 today to get your new purchase of the Lexmark XM5163 and help your business develop significantly. Our welcoming representatives are eagerly awaiting your call!